Pastor Frank is the Founder of Amazing Grace Ministry home of the Selah Radio broadcast. Amazing Grace Ministry’s staff is made up of friends who volunteer their time and talents to keep the office running and give our Selah radio listeners the personal attention they deserve. The Selah radio broadcast is a night broadcast and a beautiful mix of Christian music on radio with devotional thoughts from the Word of God and Hosted by Pastor Frank. 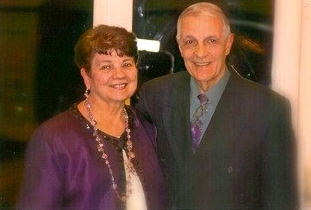 Pastor Frank attributes his success on radio to the faithfulness of God and his beloved wife Ellen of 56 years. Ellen Tamilio was his faithful partner in life and ministry until she went home to be with the Lord, November 23, 2016. Selah Radio is a listener supported night broadcast heard on various New England stations and locally on WEZE 590AM from 10-11:00 PM and WROL 950AM from 7-8:00 AM. Selah Radio’s listening audience is vast and reaches the world with the message of God’s boundless love and living hope. The “message” is the Gospel of Jesus Christ as recorded in God’s Word the Bible. Of course life is not without it’s challenges and AGM/Selah Radio has had many over the years. One such challenge came with the announcement WNRB Radio was changing to an all sports station. This of course, meant Selah radio broadcast had to find a new home. By the grace of God, the perfect time slot opened up for the Selah radio broadcast on WEZE 590 AM Boston and Selah has been there ever since filling the 10-11:00 PM time slot. What makes Selah Radio so Unique? Part of what makes the Selah radio broadcast so unique is the voice of the Host of Selah- Pastor Frank. People everywhere recognize Pastor Frank’s radio voice and tell him they listen to and love Selah Radio. Selah Radio is also unique because of it’s music selection and programing. Special care goes into choosing the themed mix of praise and worship songs to compliment the devotional message in the broadcasts. Pre-recorded Selah Radio Broadcast podcasts are always made available on this website and on Spreaker.com. Daily we receive calls and letters from around the world, from listeners who are touched by the truth of the Gospel of Jesus Christ and the praise and worship that results and is ushered in. All glory to God! By God’s grace, Selah Radio is and will continue to reach the world with the message of God’s boundless love and living hope for more years to come. Selah…Christian music on radio with devotional thoughts. Amazing Grace Ministry hosts free Selah Radio special events. All our radio listeners and their friends are invited to attend. We take every opportunity to meet our listeners and friends at our yearly events and scheduled meetups. God in His faithfulness has carried us through the many challenges and triumphs of this radio ministry. Thanks to you and people like you who faithfully support us with your prayers and financial support we are still going strong. By God’s grace we will continue on serving, growing and reaching the world with the message of God’s boundless love and living hope. Selah is a 501 (c) (3) listener supported broadcast. By the grace of God and the faithful prayers and financial support of our radio audience, the ministry of Selah continues to reach listeners around the world every day with the message of God’s boundless love and living hope.